Brandon has been singing all of his life. Whether entertaining family and local county fairs singing The Gambler at 5 years old, or Friends in Low Places now, he’s always enjoyed the applause of the crowd. Growing up in a musical household, Brandon learned early on the power of music. His father played all over California and Nevada with a local country band and his mother had Motown classics cranking out of the car speakers everywhere they went. Brandon grew up playing guitar and singing every chance he got. Throughout school in Napa, CA he was in choirs and his High School choir was one of the best on this side of the Mississippi which gave him the opportunity to tour in North America and Europe. 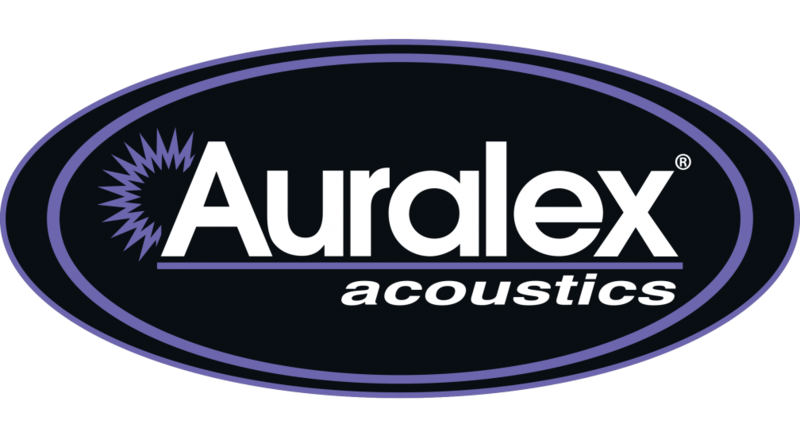 Once out of school, things continued with his 4 piece Acapella group and continued as he 1st played back up and then fronted several local country bands. “Singing is in my blood, and I love to entertain”. 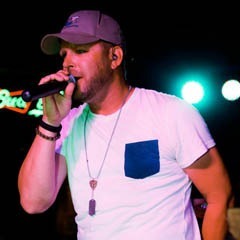 What to expect from Brandon: Brandon is our front man and will engage the audience occasionally with his wireless microphone and has been known to sing from elevated positions, even on top of the bar and go out into the dance floor where he will dance with the crowd or lead a line dance. 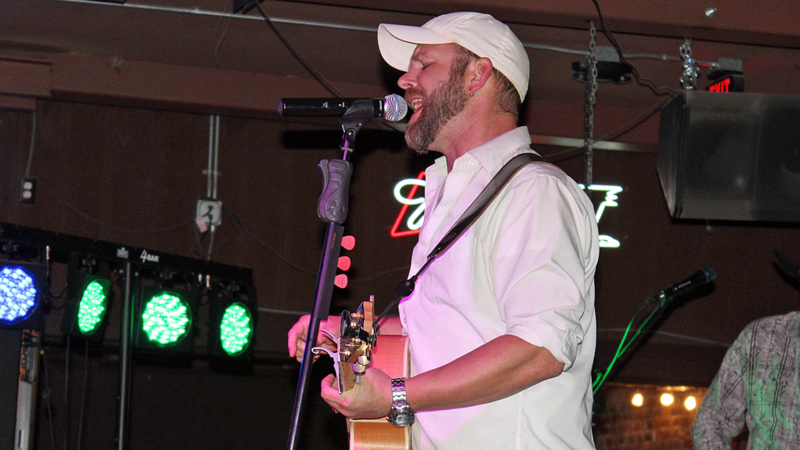 Mark has been playing country music on stage since he was 16 years old. 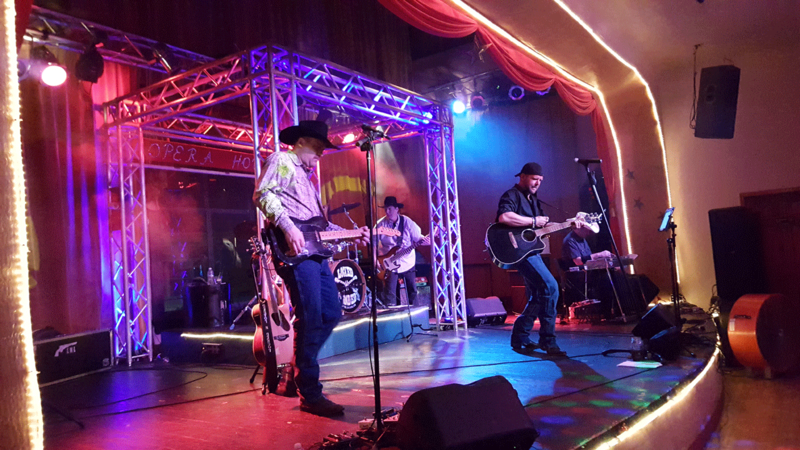 Since he wasn’t 21 years old, bar owners made him comply to laws by requiring him to remain on the stage all night, Playing with local country music legends who were 3 times his age including playing with Johnny Lee and Glenn Campbell. Over the last few decades of playing guitar he has been in several bands playing everything from rock music in the 80’s to a wedding and dance band playing funk, Motown and Latin. He was playing with bands that covered everything from Tower of Power, Earth, Wind & Fire, Michael Jackson and even Steely Dan. He also worked in many side projects where he composed and performed jazz songs including a performance as the guitar player at the Newport Jazz Festival with the legendary drummer/band leader Mel Brown and bassist Gary Peacock and Saxophonist Renato Caranto. Mark has a degree in recording arts and in music theory. 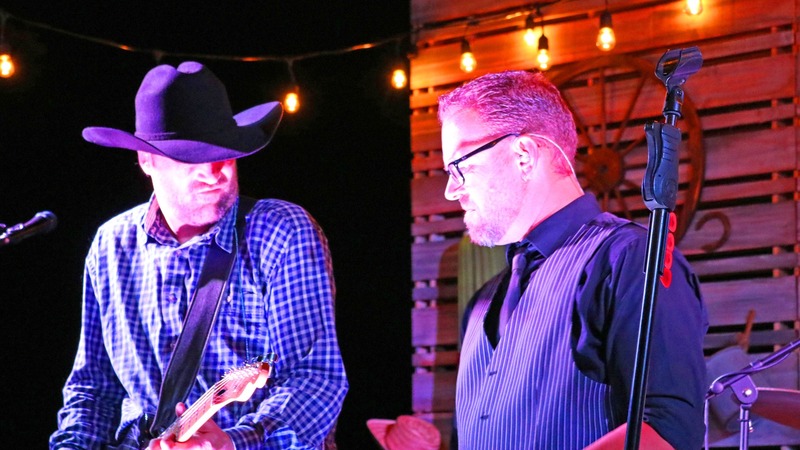 Mark has always had a sincere love for country music as as a child and all through high school he was involved in Rodeo and competed with his 3 brothers in High School Rodeo as a Bull Rider and a Team Roper. Raised in a rural, agricultural area in Northern California. His true music will always be Country and he grew up listening to Hank Williams Jr, George Jones, Charlie Daniels Band, Chris LeDoux, George Strait, Merle Haggard and many more. 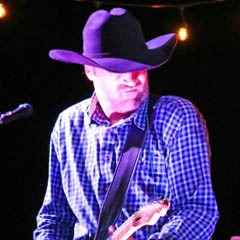 What to expect from Mark: Mark is a traditional country artist cut from the cloth of a George Strait or Alan Jackson, his smokin’ hot lead guitar solos are pure Nashville and he gives us our retro country vibe when we need it, however, he is right at home with today’s modern country guitar styles as well. Paul bought his first pedal steel guitar in 1970. Shortly thereafter he moved to Seattle and found a good steel guitar instructor. 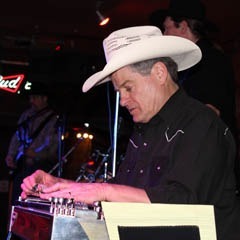 He started out in a rock band playing both the bass guitar and pedal steel guitar. He then joined a band in Yakima, Washington performing six nights a week. 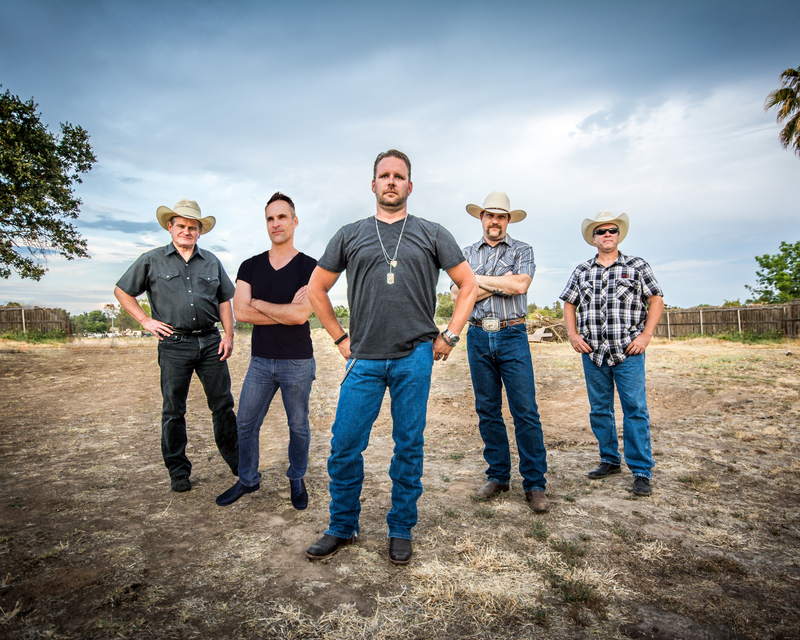 That band toured the Western United States playing clubs, casinos and country fairs. While playing in Elko, Nevada, he met Jim and Jackie Estes and their blue-grass oriented country band, The Family Portrait. He joined the Family Portrait and soon was traveling all across the United States and Canada. He later relocated to San Diego and landed a job with Munds & Wood playing six nights per week for 18 months at the Alamo, the top country night club in San Diego. Opening for national country acts, such as Barbara Mandrell and Freddie Hart. He rejoined the Family Portrait. By this time the Family Portrait was settled in at the Shy Clown Casino in Sparks as the house band playing shows, backing the guest artists that arrived each week; guest stars included David Frizzell (brother of Lefty Frizzell), Hensen Cargill of “Skip A Rope” fame, and Sammi Smith (Grammy award winner “Help Me Make It Through The Night”). 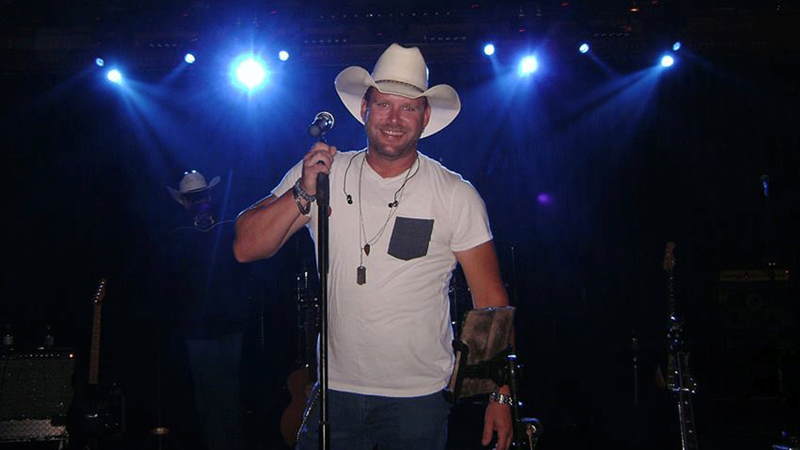 He shared the stage with other top acts including Asleep at the Wheel. After playing six nights per week for a year straight he decided to enroll at the University of Nevada, Reno and finished an undergraduate degree, and then enrolled in the University of San Francisco, School of Law. This led to a career as a public prosecutor with the El Dorado County District Attorney’s Office. 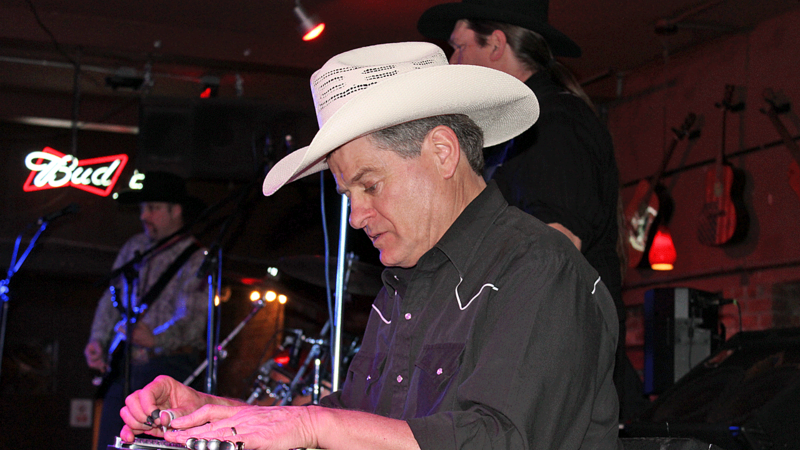 He is now retired from the practice of law and is again pursuing his interests in music and the pedal steel guitar. Paul also plays Banjo, Dobro and the Lap Steel. 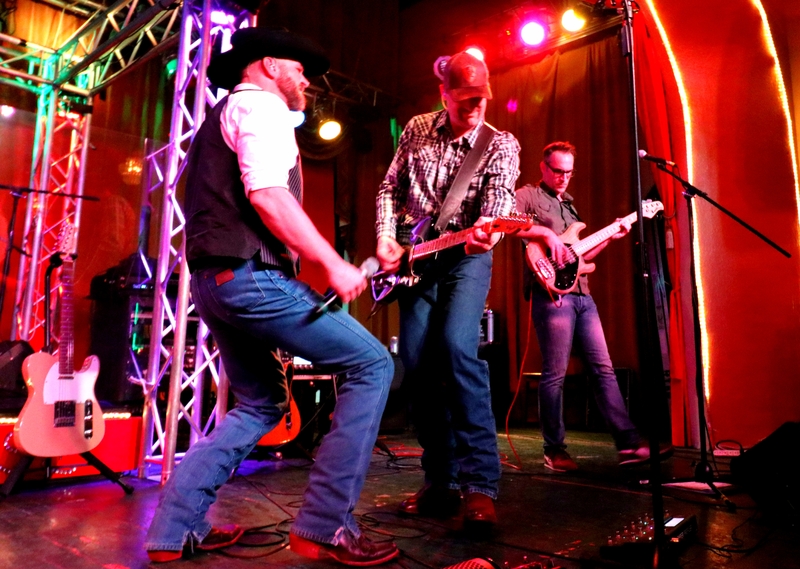 Before joining Locked-N-Loaded and since returning to music he has played with other local bands including, Buck Ford, The Stardust Cowboys, The Chris Creek Band, Saddleback Ridge, Rachel Steele and Road 88, and Blackwater. What to expect from Paul: Paul is the consummate professional musician and plays both of his instruments very faithfully to the signature parts of songs but will also solo in his own style. 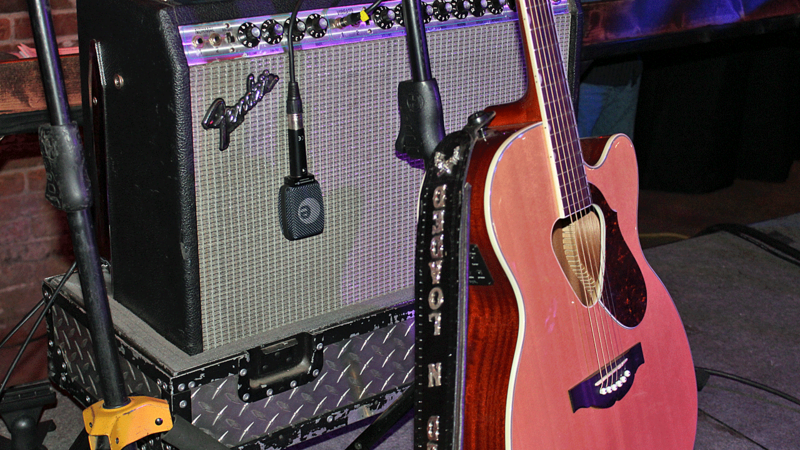 His equipment is the absolute best available, therefore his tone is incredible and the crowd always gathers around him in awe of both the instrument and his sound. He is one special musician that with his instrument, can evoke strong feelings in every song he plays on, especially the ballads. He also is a very talented multi-instrumentalist and plays guitar, dobro, banjo and lap steel. Brad fell in love with the bass guitar as a young teen after trying out different stray instruments that his older brother would bring home. He was influenced by his cousin who was a trombone player for Frank Sinatra. Seeing his cousins success made him want to be a traveling musician. Being from a small town in Pennsylvania, there wasn’t many options for entertainment. So he would put on top 40 radio stations and try to mimic the bass lines. He began performing at clubs at 15 years old with more seasoned musicians and would need his parents permission to play those gigs. 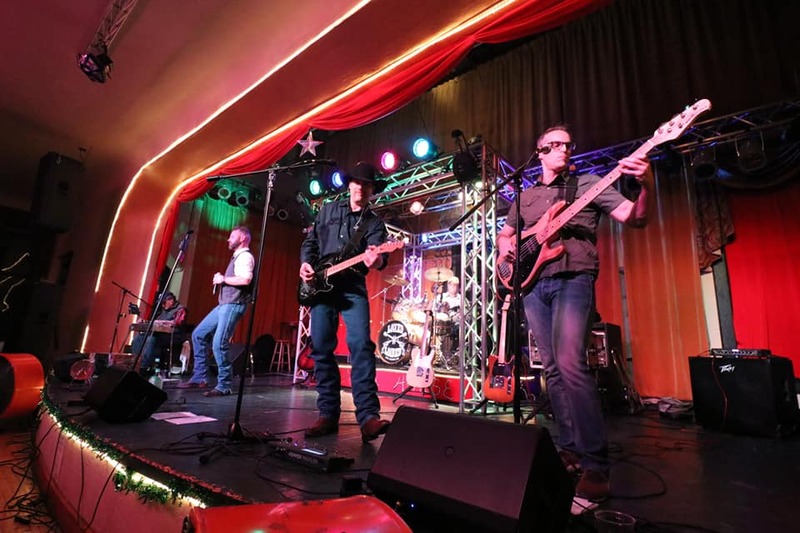 Brad used his love for pop music to find his way into a successful cover band that played the eastern seaboard from 1998 to 2010. Making a move in 2010 to Southern California, Brad answered a Craigslist ad for a band that was a staple at Disneyland. Since then, he has performed more than 1000 times at the happiest place on Earth. Disney helped launch a more professional career that brought Brad to about 40 countries around the world. It also brought on some high profile gigs such as Miley Cyrus’ birthday party, Jerry Lewis Telethon, and providing original music for various television shows on MTV. Brad loves all types of music. He tries to absorb several genres and styles and bring them into each others realms. What to expect from Brad: Brad will put his heart and soul into every performance. He is a seasoned, pro and knows how to put on a great stage show. His bass guitar tone is impeccable. He sings harmonies and helps give the band those incredible 3 part harmonies we all love. 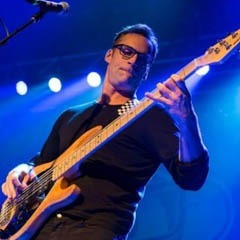 Don’t let his Clark Kent looks fool you because when he is on stage his is able to leap tall buildings in a single bound! Growing up in Rockville, Maryland, Mike knew he was destined to be a drummer at a very young age. After taking piano, guitar and even clarinet lessons, his parents gave in and drum lessons started in the 4th grade. Fortunate to be part of excellent music programs throughout his school years Mike was able to gain experience in most styles and genres of music. First rock band was “The Voyage” in 8th grade. 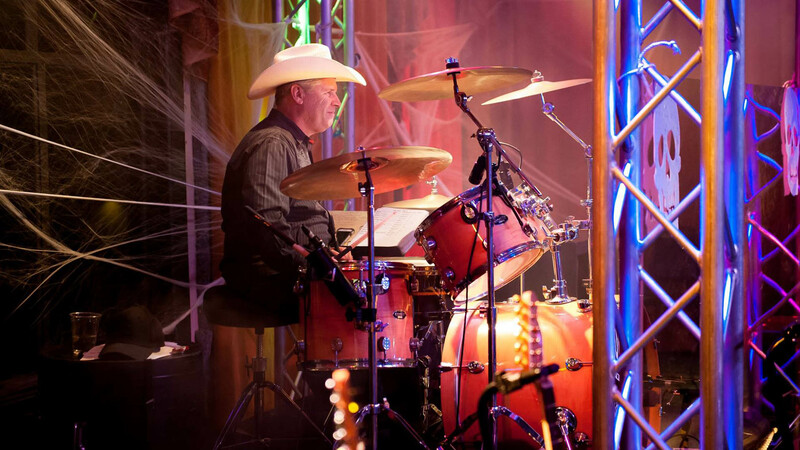 Over the years Mike has enjoyed playing with some very talented musicians in stage bands, marching bands, Rock, Blues and Country bands. Mike moved to San Jose at the age of 16 and later relocated to El Dorado Hills, CA in 1998. 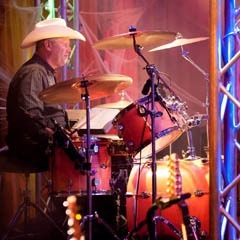 After moving to the Sacramento area, he was the drummer for cover band “What’s Shakin” and 80’s dance band “The Ripoffs”. 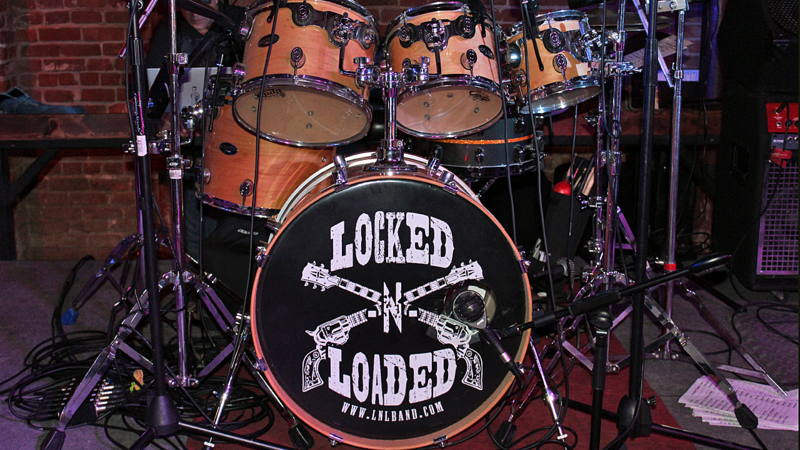 Now keeping the beat for “Locked N Loaded”, Mike is excited to be a part of such a talented and versatile country band. What to expect from Mike: Mike is one of those rare drummers who actually has a very solid meter. What this means is while playing, his timing never waivers, he is solid from start to end and has outstanding drum chops, never plays too loud, always the correct volume level for the venue. 9 out of 10 drummers fail in these 2 catagories. We are very fortunate to have such an incrediable drummer.